In recent times of rising Islamophobia, rampant misinformation about Islam, and political rhetoric against Muslims, books showcasing the positive aspects of Muslims in America are very welcome. 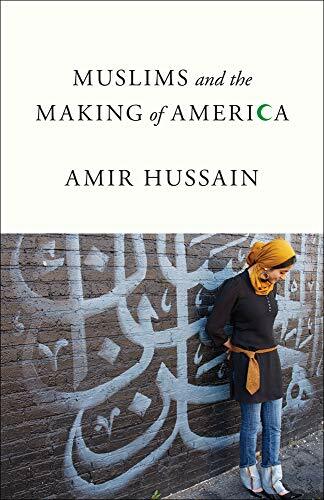 Hussain’s book Muslims and the Making of America may be a very short read but it is a much needed one, packed with facts that destroy myths and remove stereotypes. Many writers have written similar topics, but Hussain has a unique angle. He showcases Muslims instead of Islam, and he focuses on people rather than religion. This is an important distinction, because our media, both print and broadcast, offers a plethora of often conflicting information about Islam. In an environment when many Americans ask, What have Muslims ever done for America? Hussain attempts to showcase a wide variety of Muslims in areas that the average American cares about: culture. This topic of course is much vaster than just one writer can or should attempt. One could point to Muslim American contributions to scholarship, technology, science, literature, and even politics. But in today’s celebrity culture, when the breakup of Brad and Angelina Jolie gets more comments on the internet than the refugee crisis in Syria, the average American does not identify with these areas. Hussain starts the book with a very powerful statement: “There has never been an America without Muslims.” Of course this is a startling statement for those (and there are many) who consider Muslims part of a new wave of immigrants to this country. With facts Hussain debunks the myth of Muslim immigration, explaining how Muslims arrived in the New World as slaves and explorers. He explains how the early Muslim community grew, both among whites as well as African Americans, and how the civil rights movement is linked with the growth and popularity of Islam. In later chapters Hussain identifies key figures in music, sports, and culture who were identifiably Muslim but also identifiably American. The most famous of these figures is Muhammad Ali, but there are also others in all areas of sports: Kareem Abdul-Jabbar, Shaquille O’Neal, and many others. Interestingly, Hussain dedicates a section of his books on Muslim music, especially jazz and hip hop and connects the dots between American music and Muslims. There is less discussion of other areas where Muslims have left their mark—art, architecture, politics, even the military—but they are well-written vignettes. What was Hussain’s ultimate goal in writing a book on such an unusual topic? He explains in his introduction by tying his act to Muhammad Ali’s life. This is an enormously courageous claim: that Muslims are not only part of America, but in fact have helped all Americans regardless of religion or race, to be more American than they could have been without Muslims. As we read the book, we realize why Hussain has chosen the areas of American life that he has: sports, music, culture, art. These are our national pastimes, these are the things that bring us together: watching a ballgame or listening to music, for instance. Sports and music, for better or for worse, connect Americans into one community, and Hussain proves that Muslims are not only part of the community, but have in fact created, affected, and improved it. What would boxing be without Muhammad Ali? What would basketball be without Kareem Abdul-Jabbar or Shaquille O’Neal? What would rap music be without Ice Cube? There is so much that Muslims have done to “make” America, and it’s about time they were recognized for it.